Impeccable ranch condo in the Villages of St. Ives highlights open floor plan and numerous upgrades and updates. 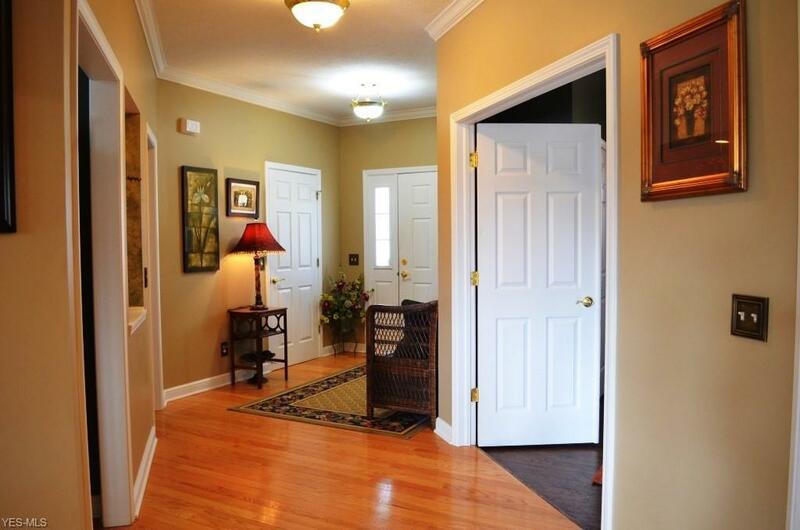 Covered front porch leads to gracious foyer with hardwood floors and crown molding. French doors open to den/3rd bedroom. 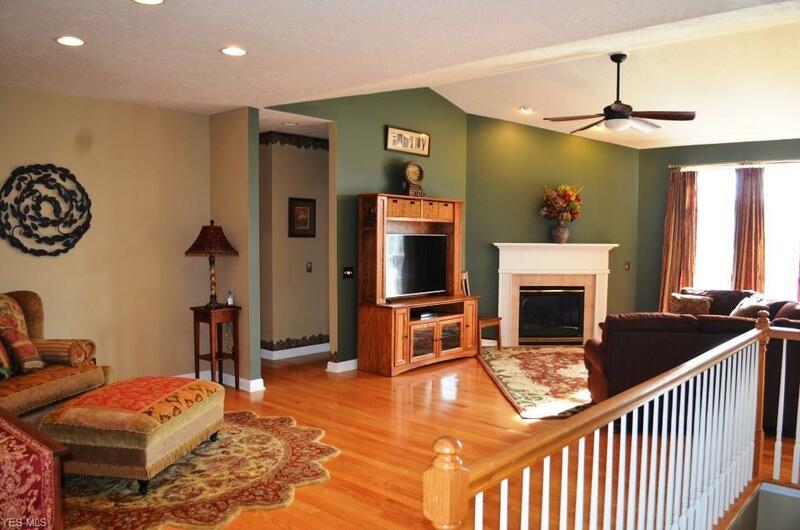 Engaging great room presents vaulted ceiling and mantled gas fireplace. 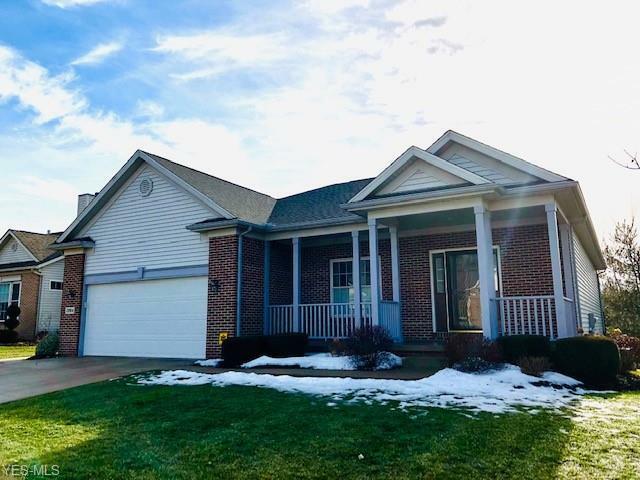 Inviting kitchen features granite, newer white appliances, walk-in pantry, breakfast bar, and separate eating area with sliders to expansive deck. Deck overlooks pond and offers built-in Sunsetter awning. Fabulous finished lower level family room boasts wet bar with frig and microwave, 4th bedroom/exercise room, and full bath. All lower level furniture will remain including TV screen, projector, Bose system, ping pong/pool table, theater chairs/couch, and bar stools. Ample storage. 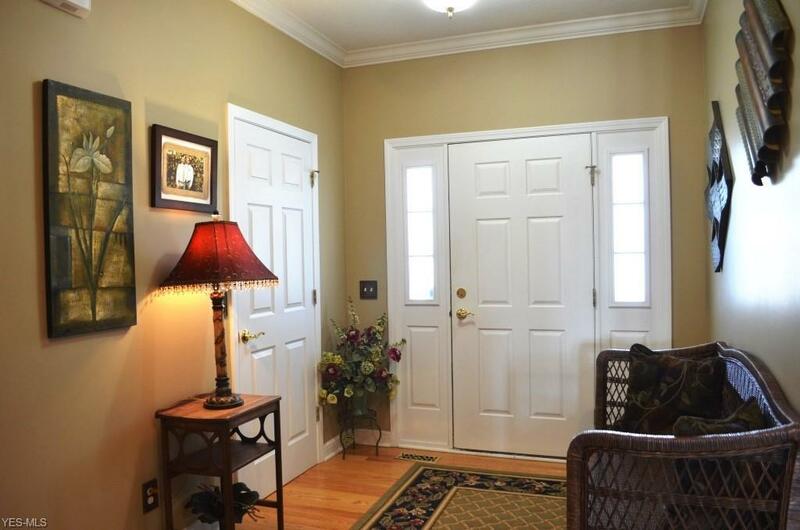 9 ft. ceilings and newer flooring throughout. Very open and bright. Turnkey!